Portuguese did introduce tobacco in Japan in the second half of the sixteenth century. The Japanese were particularly surprised to see the Portuguese smoking pipes and spitting out smoke and would have exclaimed "The Southern Barbarians have a fire in their belly!" 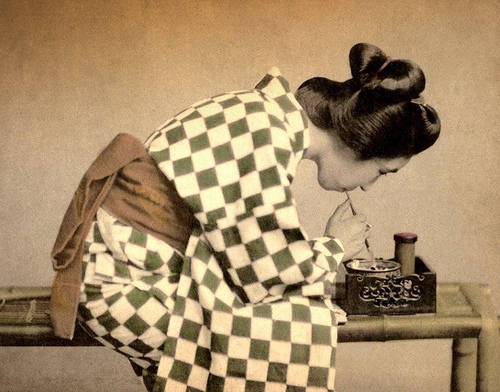 But tobacco was quickly adopted by the Japanese people and by the end of the sixteenth century, the kiseru was already used to smoke tobacco in Japan and remain there the only way to smoke tobacco for the next three centuries, until the Meiji Restoration (1868), when cigarettes arrived in Japan and became very popular. 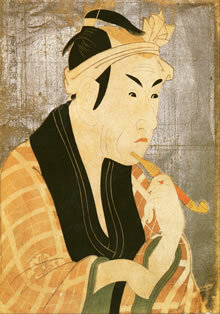 The Edo period (1603-1868) that precedes the development of cigarettes in Japan was the heyday of kiseru. From the early seventeenth century when the bans were lifted, tobacco was already well established in all classes as a luxury good. It was at this time that really developed the use of kiseru and the socalled "kizami tobacco", a very finely shredded tobacco. 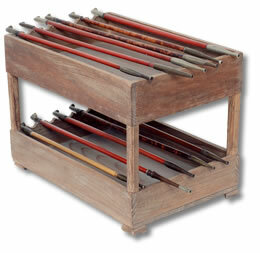 1 - If one has a guest foremost one soukd prepare the tabako-bon ("tobacco tray"). 2 - the guest will not start smoking before the arrival of the owner. 3 - The owner, upon his arrival, first say, "Would you please smoke some tobacco." 4 - The guest politely decline the offer saying, "I would not dare, the master should smoke first." Around mid-Edo, the Japanese started to want smoking outside their homes. To do so, and carry their kiseru they developed different accessories like "tabako-ire.". When finishing their studies, they would receive a "tabako-ire" reward. These are usually hung on the belt of the kimono and thus they became a social sign : young people could show them off and tell everyone "see, I'm adult" ! It also became very fashionable to have a silver "nobe kiseru". It was an essential fashion accessory for young people from rich houses. The presence of kiseru in many woodblock prints of the Edo period attests to the importance of this object in the daily life in that period. But from the mid-nineteenth century to the end of the Edo period, cigarettes imported from the West and Russia became increasingly popular. The Meiji Restoration is a major turning point in Japanese culture. This is the time when Japan re-opens its doors to the rest of teh world, and when after about two centuries of quasi-autarky, Japanese people are eager to learn from the West. This will naturally help the cigarettes to develop and make the kiseru decline. From the very begining of Meiji (Meiji 5-1872), the first Japanese cigarettes were born. 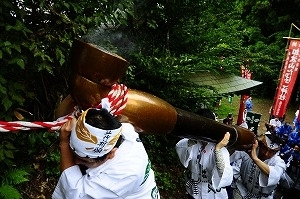 However kiseru were still very popular, especially in rural areas and among those who alreqdy seek to preserve the traditional Japanese culture. This would include the famous Lafcadio Hearn (1850-1904), Japanese naturalized Irish author who took the name of Koizumi Yakumo. He loved smoking and had a collection of over a hundred kiseru. Contemporary Era: renaissance of kiseru? In 1929, there were still 190 workshops and nearly 400 artisans who produced kiseru Japan. Now there are only a few artisans left. However, very recently Japanese people started to appreciate kiseru again. "Kizami" tobacco (particularly adapted for kiseru) which production was completely stopped in 1979 is now produced again. Japanese, especially young Japanese, are rediscovering the pleasure of smoking kiseru. Historical TV series and mangas in which the heros smoke kiseru certainly influenced this renewal. 2.6 meter long Murata Kiseru !